Two retail parks anchored by Lidl stores are expected to attract considerable interest when they are offered for sale this week as individual investments. 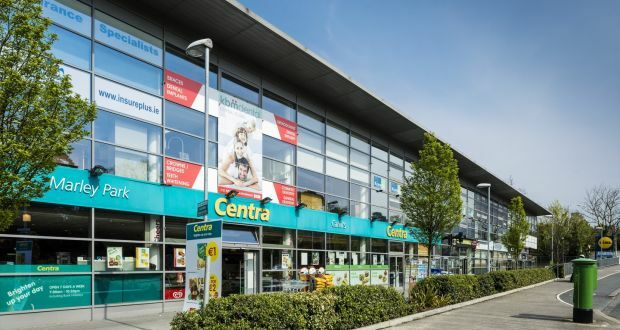 Patricia Ward of Cushman & Wakefield is guiding €2.9 million for Grange Road Retail Park in Rathfarnham, Dublin 14, and €1.4 million for Blacklion Retail Centre at Greystones, Co Wicklow, which are for sale by private treaty. Grange Road will show a net return of 10.18 per cent while Greystones will provide a net initial yield of 10.22%. Both retail parades date from 2006 and benefit greatly from their close proximity to Lidl discount stores and large scale surface car parks. The Grange Road shops have office units at first floor level which are not included in the sale. Four of the eight shops in Blacklion have additional space at mezzanine levels. The six units at Grange Road extend to 1,000.96 sq. m. (10,774 sq. ft) and are occupied by Professional Dry Cleaners, Total Hair Care, Bombay Pantry, Marley Park Pharmacy (two units) and Centra. The landlord is collecting a rent roll of €308,500. The retail park has an impressive glazed façade fronting on to Grange Road, directly opposite the 121-hectare Marlay Park. Six or the eight ground floor retail units in Blacklion are occupied-leaving two vacant – and producing a rent of €149,553. The overall retail space extends to 1,172.72sq. m. (12,602sq. ft). The existing tenants are a Chinese Medical Clinic, Pebbles Café, House of Style Hairdressers, Art & Hobby, Ambiance Interiors and Fahys Pharmacy. The new owner will also get an income from a Vodafone mast. Both retail parks are likely to benefit from the decision of Dublin and Wicklow planners to allow Lidl to extend the floor plates in both instances. Ms Ward said they were expecting a high level of interest in both portfolios because of their lot sizes in well-established shopping locations and the opportunities to manage the assets in the future. A new development of 180 new homes are under construction directly behind the Blacklion Centre, while Greystones Educate Together national school and Temple Carrig secondary school opened opposite the Blacklion Retail Centre in 2008 and 2014.